GOOD Peacefully in hospital on January 27, Harold Benjamin, aged 83 years. Brother of Daphne and a much loved uncle and great uncle. 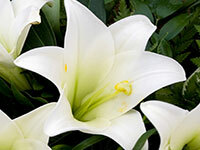 Graveside service at Bramford Lawn Cemetery on Wednesday, February 20, at 12.45 p.m. Family flowers only, donations if desired to Macmillan Nurses c/o. E B Button & Sons Ltd., 24 St John’s Street, Woodbridge IP12 1EB.